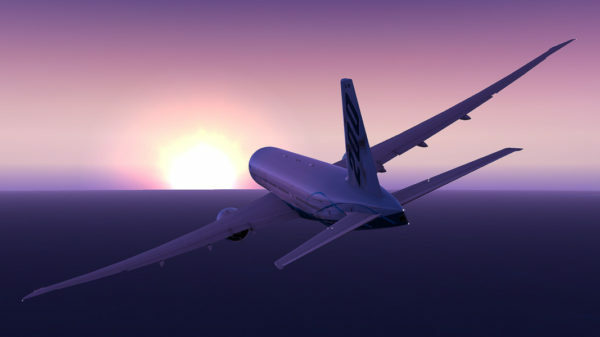 As I do love flying as passenger in real life, I also love to fly myself as a captain. 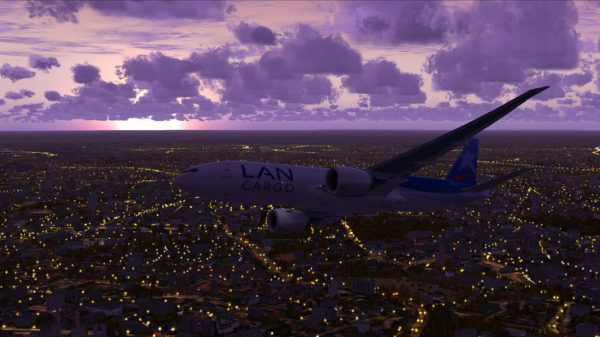 I do think about the safety of my passengers and all the people on the ground and therefor I chose to fly using a flight simulator. I’ve started my flight simulator career with the Boeing 737 NGX from PMDG. The abbreviation stands for New Generation and PMDG added the X to indicate that it was developed for Flight Simulator X from Microsoft. This plane has been recreated in such a detail that even real pilots love to fly this plane in their spare time. 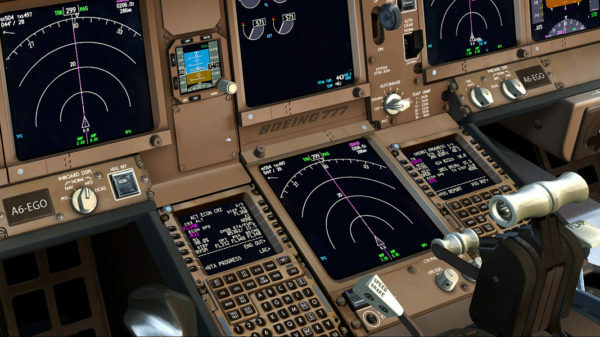 It starts from the graphics, where not only the outside looks just perfect, but the cockpit itself is a masterpiece of it’s own. You can turn every knob, and they do what they do in the real plane too. It’s not easy to learn, even harder to master, but it is such a great feeling when you finally get everything right. I’ve been flying this plane for over 5 years now, and it never got boring. 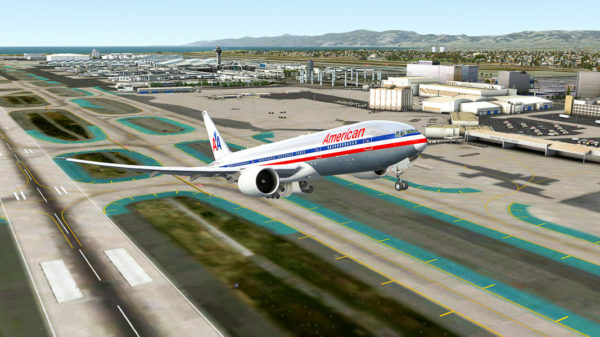 It just has one problem, and that is a quite big one: PMDG developed a new plane and released it in 2013: The Boeing 737 bigger sister, the Boeing 777. 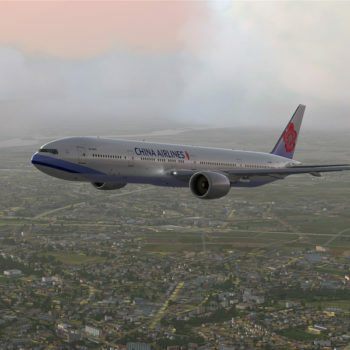 Many people around the world have been looking forward for this plane to be released by PMDG. It has taken years, and PMDG is a company that does not share a release date up front. They only release their products when it is ready. 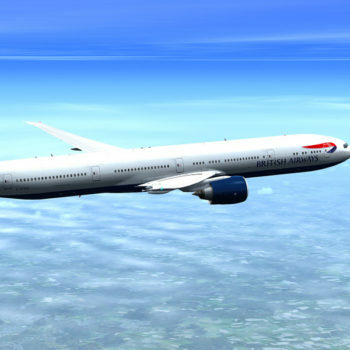 The Boeing 777 was worth the wait, and where it started with the 777-200LR, half a year later came the Boeing 777-300ER, which is my favourite to date. When operating this big aircraft you really get the feeling to operate a massive plane, and when fully loaded everything seems so big and heavy. There’s no rapid acceleration on the taxiways, however when you finally get to the runway and rev up those 2 beautiful engines… It’s pure joy flying this plane. And don’t think it’s just the basics. Everything has been simulated from complete route building and fuel calculations to terrain and weather radar. Furthermore there’s a huge list of failures simulated, so you can actually can get blown tires, overheated brakes, engine fires, etc. etc. 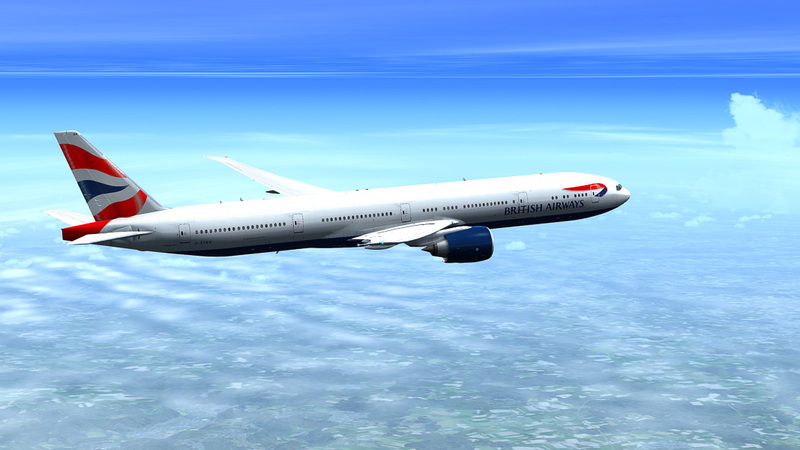 This plane will stay my favourite for a long time. 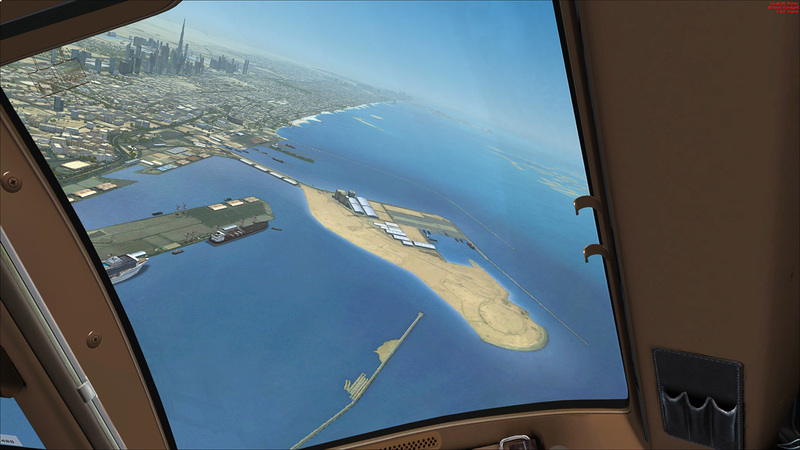 Flight Simulator X, or in short FSX, is one of many flying simulators available today. 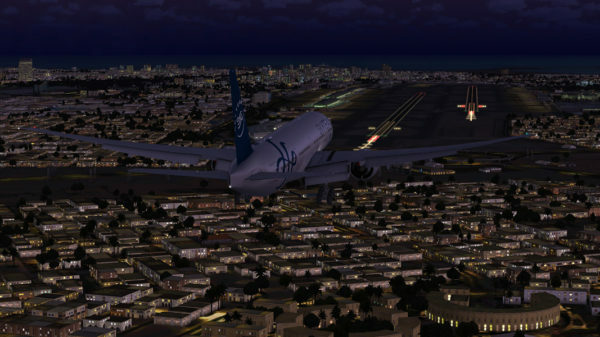 FSX has many advantages over other simulators as it’s the simulator for which most developers create add-ons, like airplanes, airports, scenery and weather. 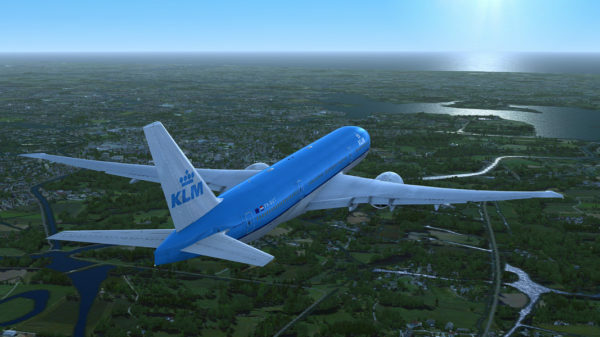 Development of FSX is stopped many years ago, but has been further developed as P3D. 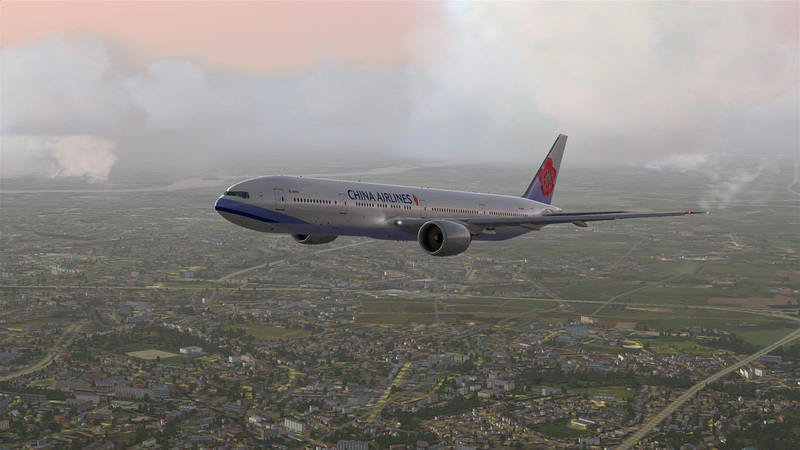 The reason that I do not use P3D yet is because PMDG did not release any of their planes for this simulator. This will change at the end of 2014, and I foresee to change very soon afterwards. REX is the abbreviation of Real Environment Xtreme. 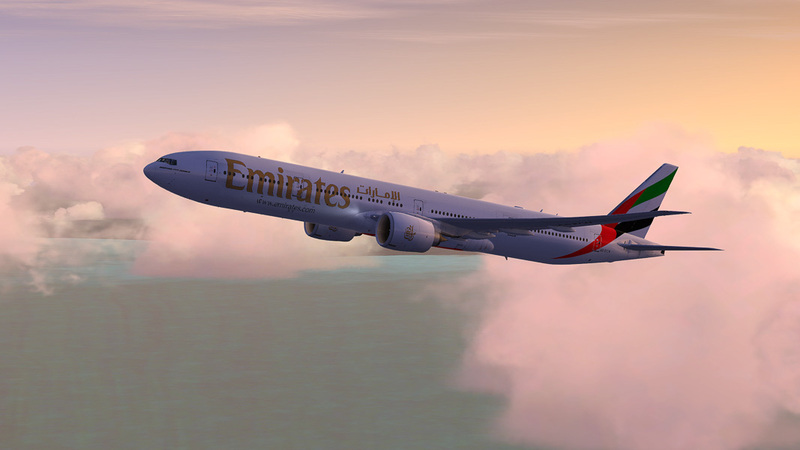 It has a lot of options, but I purely use it for enhanced cloud and water textures within FSX. 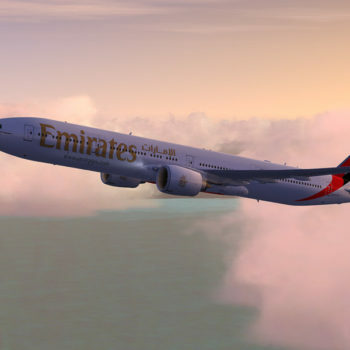 Using this add-on the clouds and water become so much more realistic. You even have a choice to add certain sunrise and sunset textures. FTX Global consists of 3 packages, which are Global, Vector and OpenLC. Without going into details those 3 add-ons will completely recreate the entire landscape in the world, adding new land-textures, beautiful coastlines and rivers. OpenLC takes care of the landclass, which increases the accuracy of the roads and city limits within the world. I could even navigate my way over Malta using only roads as navigations aids. Professional Flight Planner X is a standalone application and allows for very accurate flight route and fuel planning for any flight. I always use it to get the most accurate route for my flights, including the waypoints that airlines use in the real world too. It also takes into account the weather and expected wind for the fuel planning, as it might increase the fuel consumption drastically. 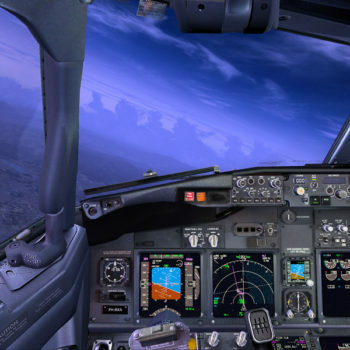 OpusFSX looks like a very simple piece of software, but behind the scenes it does so much for the immersion within the flight simulator. 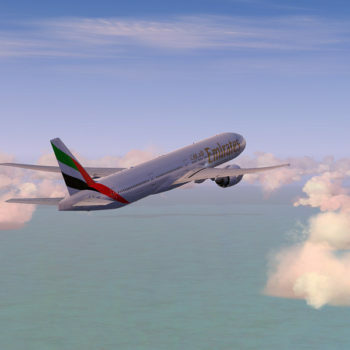 First of all it downloads the latest real weather in the area where you fly, and then injects it into the simulator, making it rain when it’s raining outside too. 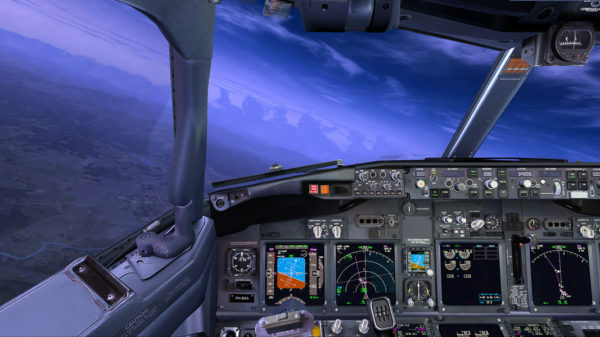 Additionally it adds cameras and effects to the simulator, making you experience turbulence and acceleration/deceleration movements, like you would have in the real world. 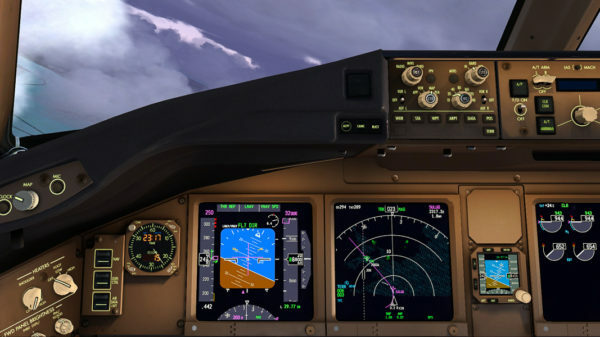 Virtual CDU is a piece of software which runs on the pc and then your iPad is able to connect to it, giving you the FMC/CDU (Flight Management Computer) on screen in the palm of your hand. 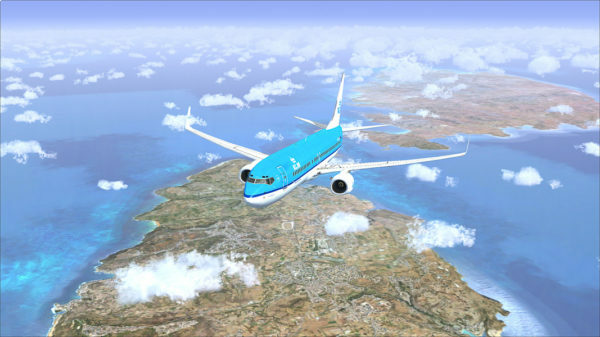 You can easily set the route, fuel and more upon doing the pre-flight procedures, and when in flight it allows you to follow up on route, fuel, progress, and other settings of the airplane. This is a very handy feature to make things easier when flying. 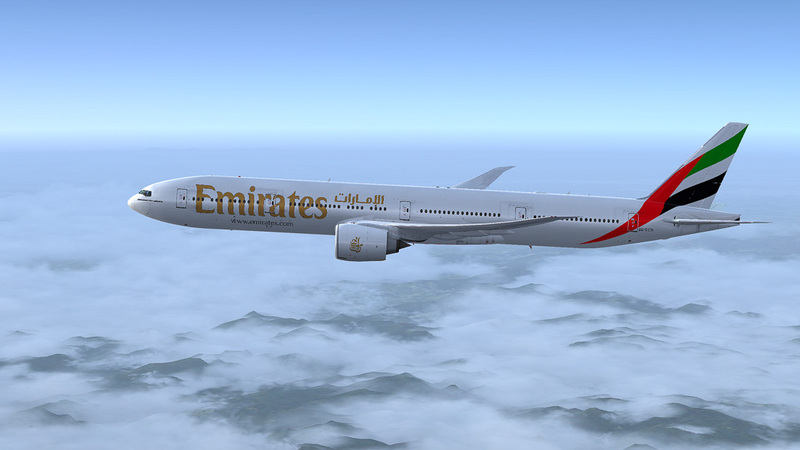 As I fly a Boeing 777 normally, I tend to fly to big airports. 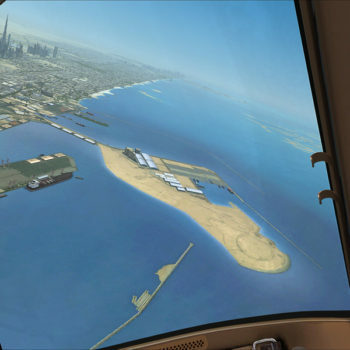 There are a lot of developers that recreate those airports for flight simulators and these are my favourites. Personally I love the airport because it’s located in the middle of the city, and the approaches are challenging because of noise abatement rules. DFO is located in the middle of the city, making the approaches very interesting, especially at night. It also is a great hub airport for flight to and from Asia and Australia. The airport itself is very recognisable. For example, the turquoise taxiway markings are beautiful to see. I use this airport frequently for flights from New Zealand, and for flights within the United States. Also known as Luqa Airport, Malta International Airport cannot be missed from this list as Malta still is one of my favourite places to be. I use this airport often, especially when I do not have the time for a long flight, and then mostly fly inter-Europe flights. For example from Zurich or Vienna to Malta. Zürich Airport is one of the main airports in Switzerland. It’s located close to the alps and it makes the scenery great to fly. Going north the land gets flat, and has a lot of rivers and cities. Flying south or east there are the Alps which is a vast mountainous area in the south of Europe. 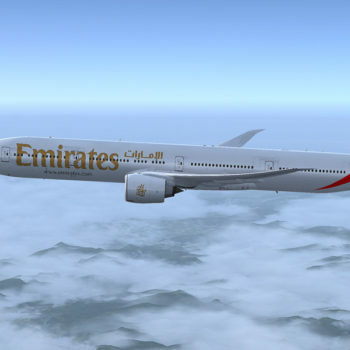 It has a lot of challenging airports as well, however when flying the Boeing 777 you mostly skip those, as the airports in the valleys are to small for it to land. 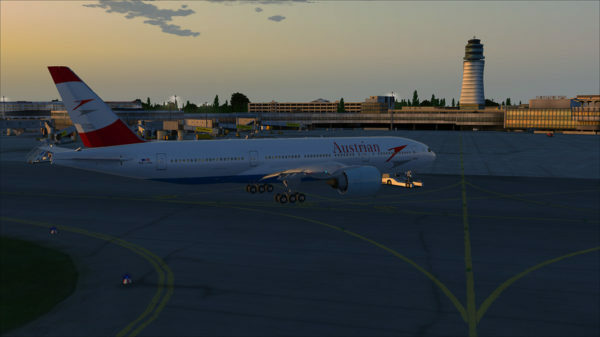 Vienna Schwechat Airport is actually located in, as the name already suggest, Schwechat. 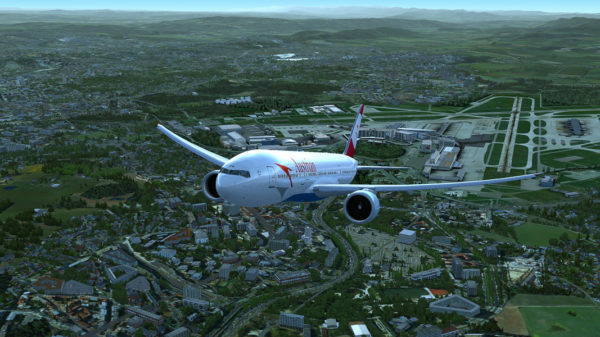 This city is close to Vienna, which makes it a perfect place for the main airport to get to the capital of Vienna. The airport is nice to fly to as it has runways in all kind of directions, making it very versatile in any wind conditions.